I know what I did this summer. I remember that whenever summer was over and I trudged back to the toil of school the first task that we were set was to write about what we did during the summer holidays. The last time I actually remember being set this homework was at the start of the 4th year at Birkby Juniors, my teacher was the wonderfully bearded Mr Thomas, a man who could sweat profusely just by picking up a pencil a talent for which I was very jealous, given that at the age of 10 you can run around in 35 degree heat for two hours and not perspire. These ‘What I Did This Summer’ things always remind me of the first day back at school after six weeks of larks and japes (I grew up in Birkby, it was more setting fire to things and watching A Nightmare on Elm Street too often & Tom Sawyer never did that!) The first day back at school would see Mr Thomas set us the task of keeping quiet for as long as possible whilst we tried to make a week in a dreary, leaking flat in dreary, windy Whitby sound like it was the northern equivalent of Disneyland (it always seems much prettier when I go back now) Now before I get too ‘You were lucky to have a cardboard box’, I should state that on the days when it stayed dry in Whitby, and we didn’t have to go looking at freshly caught but distinctly dead fish, it was quite a fun week, well quite. Nowadays you can get a cheap flight to any number of airports across Europe and some of them are even in the city whose name they bear. So school summer holidays feature more exotic locations and writing those stories must be much more fun. So this year I took the family down to the sunny south of France, but we drove, and it’s a long way. The problem with cheap flights is that they’re not that cheap anymore and when there’s five of you economies of scale don’t work and then you have to hire a car and I’m a seriously tight-fisted holiday organiser. 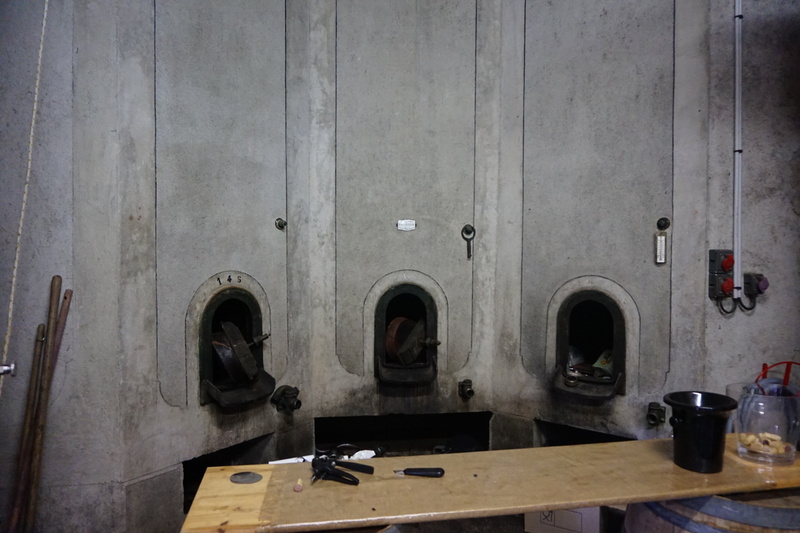 Given all that then you could be left asking why did I go to the south of France at all, well my favourite wine making couple live there and I’d promised them that we’d go and see them and that way I could still do some work whilst on holiday. Fred Dibnah tried the ‘work as holiday’ thing once and it ended badly, but then again it did involve going to Blackpool to point a chimney in the cold and the rain, so I’m ahead there at least. 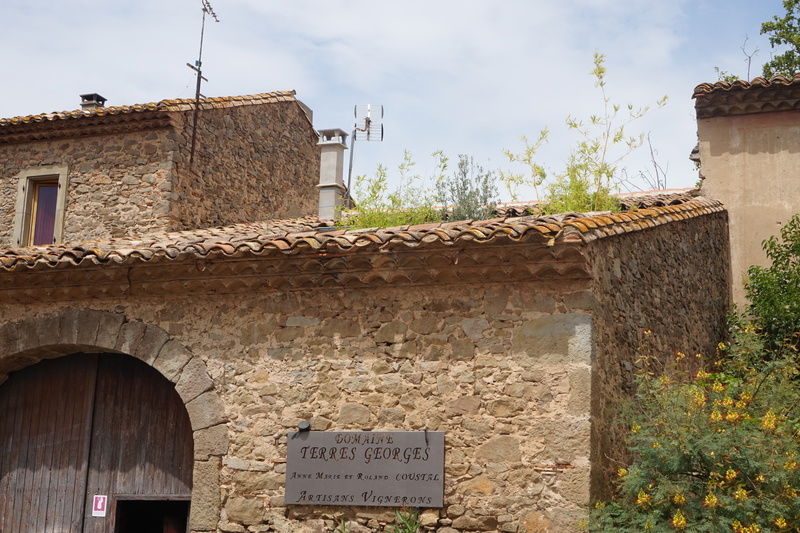 My favourite winemaking couple are the brilliant Anne-Marie and Roland Coustal from Domaine Terres Georges, just a short drive out of Carcassonne. 15 years ago my father bought 1200 bottles of a stunning Merlot from them and became their first ever export customer. Over those 15 years we’ve continued to sell as much of the terrific wines that Anne-Marie and Roland make and yet I’d never actually met them, just a few phone calls and e-mails. I’ve always maintained that when it comes to wine buying then I need to do my tasting in Huddersfield. Visiting wineries and vineyards is more about getting a sense of place and a feel for the love and effort that goes in to the wine, and it gives me a really good excuse to travel around the world, you know, ‘working’. A couple of years ago Anne-Marie decided to convert the space above where they store the bottles in to a Gite and is there really a more suitable place for a wine merchant to go on holiday? The gite is amazing and spacious and has a hot tub and even better it had 30 bottles of wine in there to last us two weeks, I love a challenge! The Gite is the gap at the top, privacy rules! 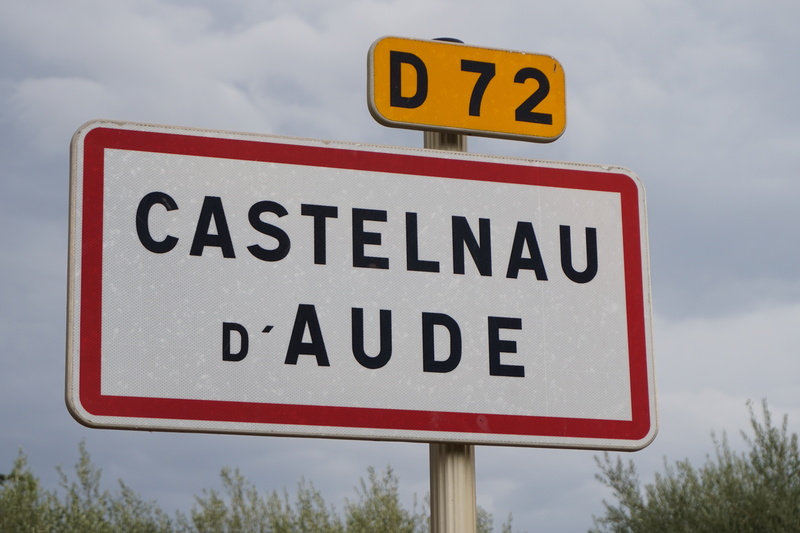 The other lovely thing was peace and quiet, the town of Castlnau d’Aude is small, so small in fact that it has one shop which is open for 3 hours a day and if you want bread you order it the day before. A French town without a bakery! Now that’s a small town. What the town does have is, well nothing, but it’s surrounded by vineyards, lots and lots of vineyards. This is the heartland of the Minervois appellation and nearly everyone around here is involved in the wine industry. You can see how I drove past it at first! Now I’m very conscious that I have already waffled on quite a bit and there is a very good chance that you might be thinking I’ve waffled too much but keep reading because the stuff below is important for the way you view wine in general and not just from Domaine Terres Georges. If you want to make really great wine then you will need really great fruit. If you want really great quality fruit then you are going to need to step back and let mother nature do her best and you are also going to need time, lots of time. The deliciously complex flavours we all seek in a great wine come from the soil and the deeper the roots go then the more flavours they will find, if roots just muck about near the surface then they will just find lots of water and you’ll get thin reedy wines. 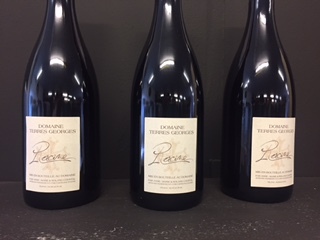 In order for roots to reach a decent depth then you are talking of a minimum of around five years, for Roland and Anne-Marie they wait seven years before using the fruit from a new vineyard, yes seven years!! 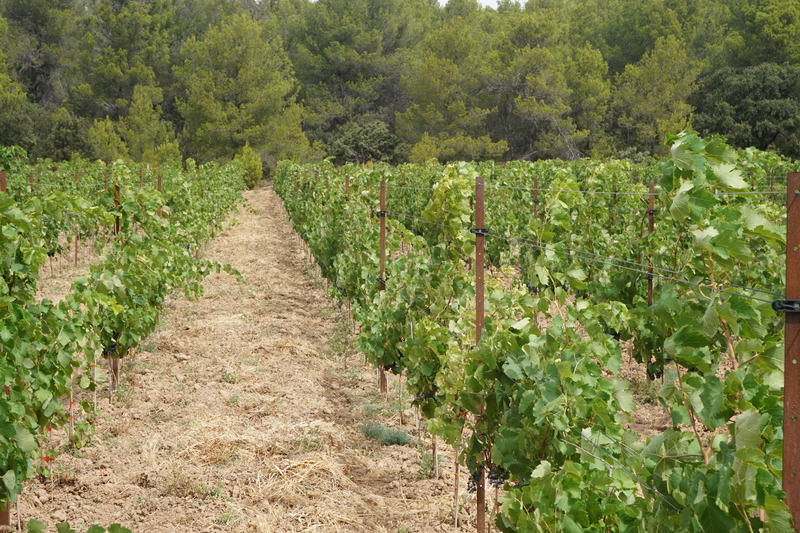 The other vineyards which I mentioned surround Castelnau d’Aude are all irrigated and the majority will use fertilisers and pesticides and will use fruit from a vineyard from its second vintage but they are growing grapes to sell on for use in bulk wine and all that matters is weight even if like cheap chicken that weight is gained through the addition of water. Roland says that if you see a vineyard around Castelnau which doesn’t have the long black plastic irrigation hoses running along the base of the vines then that is one of his vineyards. 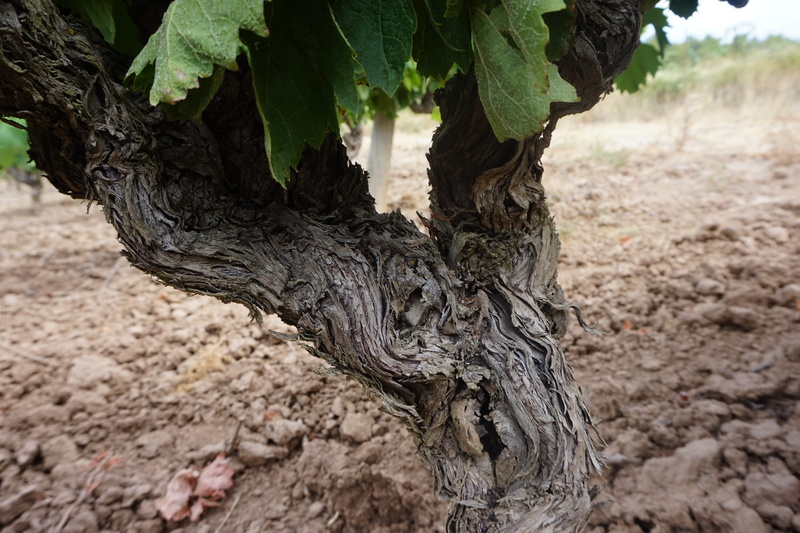 Once you have these lovely deep roots and old vines, the Carignan vines for the Racine are 60 years old, then it’s still not as simple as just watching top notch grapes appear. The flavour that a vine draws up from the ground is divided between the number of bunches on the vine, so if you want more flavour you’re going to need less bunches. 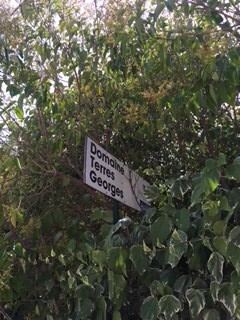 Again this is where Terres Georges vineyards differs from those around it, for the Racine there are just 6 bunches per vinecompared with the vineyard next door who get 15 bunches per vine. 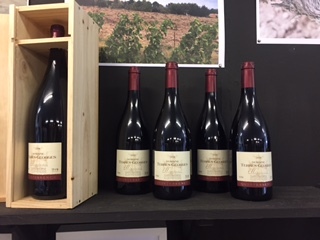 This means that a hectare of Roland’s vineyard produces around 40 hectolitres of wine compared to 150 hectolitres on a vineyard where quantity comes before quality. Before you start questioning my maths Roland’s grapes are smaller and produce less juice but the flavour is more concentrated due to the lack of irrigation. All of this pruning and vineyard management is done by hand by just Roland and Anne-Marie, this includes cutting back the vine leaves to ensure that they don’t cover bunches as this can cause rot. Any bunches which aren’t good enough are cut off and left on the floor to go back to mother nature. The only time these two get any help is at harvest when a team of six Spanish pickers come to help get all the fruit in on time. Hand harvesting is better for the fruit as it causes less bruising but a mechanical picker would save time and money as would a mechanical pruner but the results aren’t as good and the devil is in the detail. After harvesting the grapes are taken to the winery and Roland and Anne-Marie will do the first selection to find the very best fruit. After this a second selection is done which involves Anne-Marie’s mother and the children do their part too. Any fruit still left over is then sold on to the local co-operative for a little extra income. Again with the wine making process there is no automation it is just hard work, knowledge and a brilliant palate along with a pair of very strong shoulders. Now at this point I’m aware that I risk sounding evangelical but once you’ve seen all the work, passion and energy that goes in to making these wines then it’s hard not to be ridiculously enthusiastic. 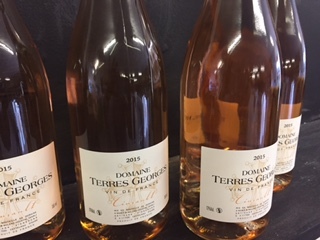 The difference between a wine from Domaine Terres Georges and any number of wines from bigger more volume led producers is time, attention to detail and a real and absolute passion for what is in the glass at the very end of the process, a process that takes days, weeks, months, years, decades and yet we get wines that cost a tiny fraction more than the mass produced stuff. This isn’t wine snobbery or all hoity-toity wine merchanty nonsense this is about knowing what has gone in to the wine that is in your glass, this is about getting that oh so important Yorkshire thing of value. 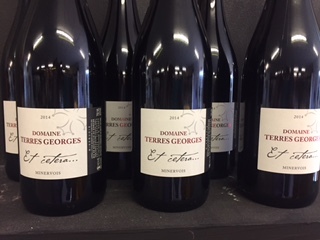 The £8.99 you can spend to purchase a bottle of the et Cetera Minervois has got to be about the best value you can get in the whole world of wine when you think just how much time, effort and passion goes in to ensuring that the wine is the very, very best it can be. Really this wine should be a lot more expensive and trust me Roland wishes it was, that way he could get rid of the dusty Renault 4 van and maybe take more than 3 days a year holiday but that’s the way it is. 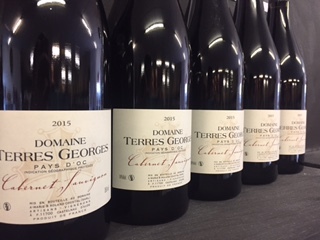 Small production in an area that doesn’t get worldwide acclaim like Burgundy or Bordeaux but whilst Roland doesn’t get shiny new wheels you all get one of the wine world’s best bargains. I do hope you’ve read this far and that you’ve paid attention and I promise I’ll try and put more gags in next time but these are wines that I love and believe in and I know the only way to really get you to see just how wonderful they are is to put them in glasses in front of you so that’s what I’ll do. If ever you want to taste any of these wines or indeed all of them then just ask and if we haven’t already got a breakfast bottle on the go then we’ll open one and no time is too early in case you’re wondering. 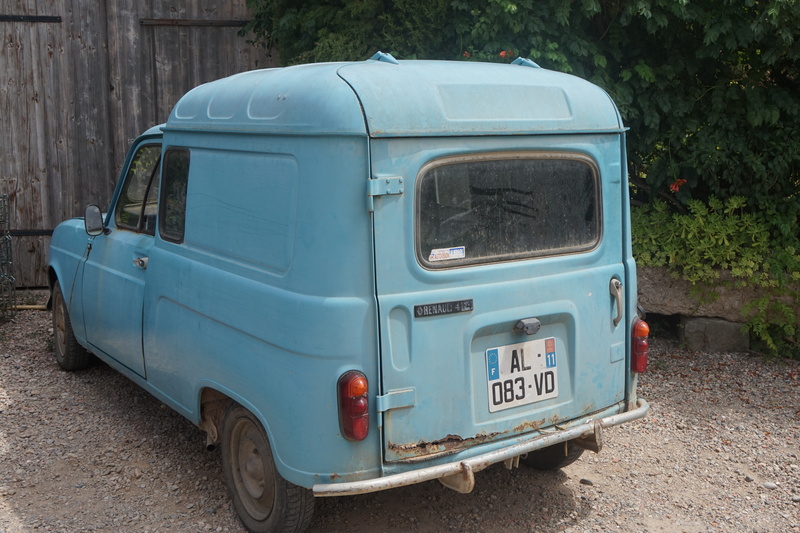 This is a new thing for the Domaine and I for one am properly hooked, or should that be I for one was properly hooked up to an intravenous drip of the stuff when we were there. If the sun is shining and the saucisson is out, so to speak, then it just has to be a bottle or two of classically subtle and elegant onion skin coloured rose. Only a tiny amount made in this first vintage so stocks are limited. This is Minervois country so it’s obvious this is going to be one of the big wines for the property. Roland has always said that this wine is like him, simple, but if you’ve read what’s above then you’ll know that he is far from simple. I agree that this Carignan dominated wine is like Roland in that it’s approachable, charming and doesn’t take itself too seriously. I have been known to open a third bottle of this in an evening before. The Domaine has a little Cabernet planted and so there isn’t much of this wine and I’ve snaffled all I can (90 bottles! I said there wasn’t much) A bargain price for a raspy, leafy, berry washed Cabernet with that kiss of southern sunshine. The name relates to the fact that the blend alters according to the vintage. Always predominantly Merlot but with a little of either Syrah or Cabernet thrown in. If I remind you that it was Roland’s Merlot that first drew us to this property then you know I’m going to have a soft spot for this wine. So wonderfully crafted with deep, dark dusky plum fruit flavours and just the most amazing structure and class. Perfect with roast beef on Sunday. This is the benchmark wine and the wine which wins all the accolades and this 2014 vintage is the best yet. As soon as I poured in in my glass and stuck my schnozzle in then I just knew it was love at first sniff (is that how it works for dogs?) Hedonistically brooding and just so full of black cherry, damson and blackcurrant fruit with that dustiness at the edges and a real mouth coating texture. A wine to banish the chills on a winters evening. For me this wine is at its best with some seriously good sausages from your local butcher and some good homemade mash and gravy. I know that’s not the food of the south of France but we’re in Huddersfield and it’s different rules. Predominantly Syrah which gives it the weight in relation to the Carignan heavy et Cetera. This wine is all about telling the story of the Domaine. This is 100% Carignan from 60 year old vines (racine means roots) and the quality of the fruit is stunning. The big difference for this wine in comparison to the Quintessence or the Cameleon is in the winery. With the latter two wines Roland want structure, colour and tannins. With this wine he wants elegance, complexity and finesse and to that extent is much more gentle on the fruit and so during ‘pigeage’ doesn’t break the skins as much. This provides less tannins (the drying feel when you drink wine), a little lighter colour but so much more elegance and freshness. This is a wine which has evolved in to this since Roland first created it and with each passing vintage there is more subtle complexity, less aggression and much, much more wow factor. Due to the AC system this wine is classed as a lowly Vin de France but don’t let that fool you, it’s a belter. Now that’s a rather hefty saving of £12.94 so it should be worth a go.